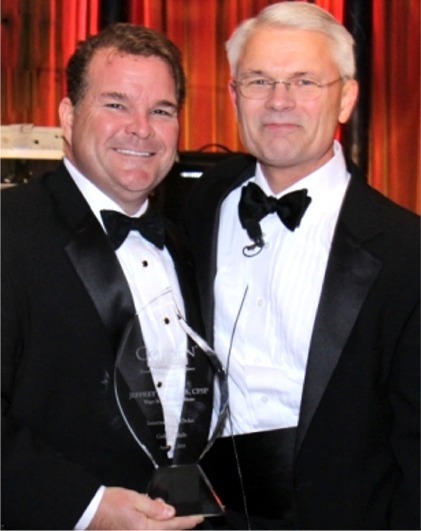 Jeffrey Wages receives Golden Light Award from David Fry President of Order of the Golden Rule, a national organization of over 700 members. 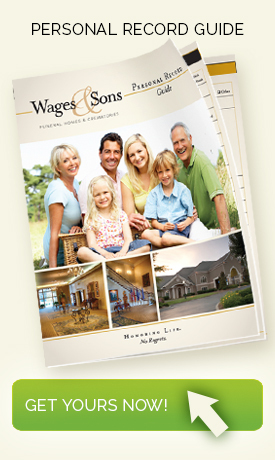 The International Order of the Golden Rule (OGR) has announced that Jeffrey S. Wages of Wages & Sons as the winner of the 2013 Golden Light Award. OGR is the world’s leading professional association dedicated to making independent funeral homes exceptional. The Golden Light Award is the association’s highest honor, and it recognizes an individual who has made specific, meritorious contributions to society through his or her profession, community or field of voluntary service as lifetime achievements. OGR President David Fry announced Wages as the award winner during the association’s Annual Conference and Supplier Showcase in Memphis, Tennesse recently. Wages started his career in funeral service as the son of a funeral director. At the age of 13, his father introduced him to the business where he worked holidays and weekends. After obtaining his degree in mortuary science, he joined his father’s funeral home where he continued the traditions of the family business. Wages is a member of the Academy of Professional Funeral Service Practice, Academy of Graduate Embalmers of Georgia, the Independent Funeral Directors of Georgia, National Funeral Directors Association and Cremation Association of North America. He has also served on numerous OGR committees and was on the board of directors for seven years, including a term as president. He took a hands-on approach with managing OGR during its transition between executive directors, and he led the search for the current executive director. He also has served as OGR’s liaison for Funeral and Memorial Information Council for the past several years. Giving back to the profession and community runs in the family. Wages’ father was instrumental in founding the Golden Light Award and is a former recipient of the award. 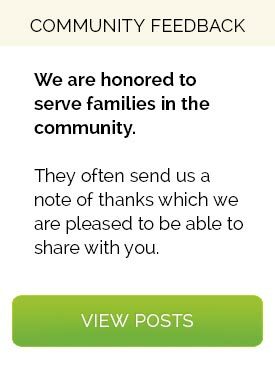 OGR was founded in 1928, OGR is affiliated with more than 700 independent funeral homes that share common goals of exemplary service, uncompromising care and compassion to families in their time of need. For more information, visit http://www.ogr.org.